Aeschynomene sesban L., Emerus sesban (L.) Kuntze, Sesban aegyptiaca Poiret, Sesbania aegyptiaca Poiret, Sesbania confaloniana (Chiov.) 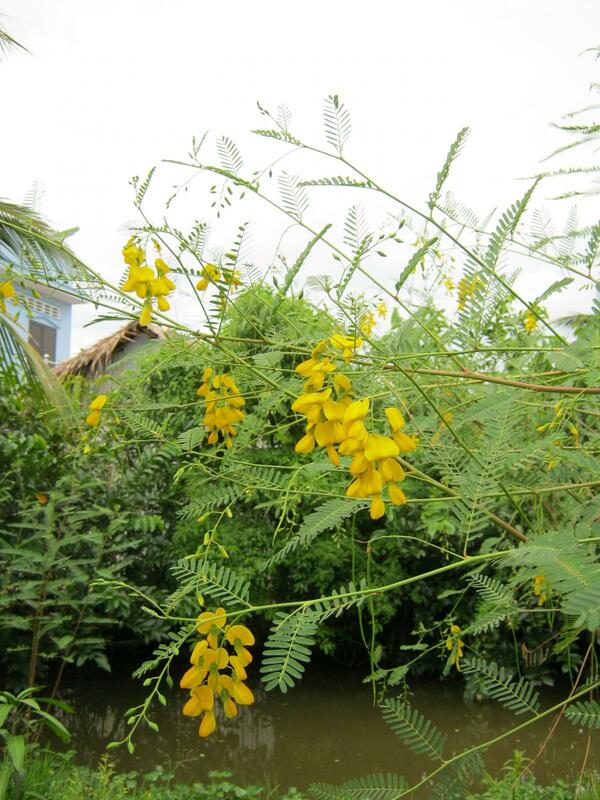 Chiov., Sesbania pubescens sensu auct., Sesban aegyptiacus Poir., Sesbania aegyptiaca var. bicolor Wight & Arn., Sesbania punctata DC. Sesban (Sesbania sesban (L.) Merr.) is a fast-growing, perennial legume tree, reaching a height of up to 8 m. It has a shallow root system and its stems may reach 12 cm in diameter. Leaves are pinnately compound with 6 to 27 pairs of leaflets. Leaflets are linear oblong, 26 mm long x 5 mm broad. Inflorescences are 30 cm long racemes bearing 2 to 20 yellow flowers with purple or brown streaks. Fruits are linear or slightly curved pods up to 30 cm long. Pods contain 10 to 50 seeds (Ecoport, 2010; Ecocrop, 2010; Heering et al., 1992). Sesban is used as forage (grazed or cut-and-carried), and as green manure. It provides good quality firewood and fibre for cordage. Leaves, flowers and seeds are eaten by humans (the seeds as famine food). In Nigeria, a decoction of the leaves is used for ethno-veterinary purpose by the Hausa people, who wash animals with it to prevent bites by tsetse flies (Ecocrop, 2010; FAO, 2010; Heering et al., 1992; NAS, 1983). Sesban is widely distributed and cultivated throughout semi-arid and sub-humid tropical regions. It grows on stream banks and swamp edges, from sea level up to an altitude of 2300 m (Ecocrop, 2010; Göhl, 1982). Optimal growth conditions for sesban are 500-2000 mm annual rainfall, 17°C-20°C average annual temperature, with an average monthly minimum of 7°C to 10°C. It grows on a wide variety of soils from loose sandy soils to heavy clays. It is tolerant of saline, alkaline and acidic soils as well as of low P levels. It can withstand waterlogging, except during the first stages of seedling growth (FAO, 2010; Cook et al., 2005; Heering et al., 1992). It is tolerant to cool temperatures and can grow in the higher elevations of the tropics (FAO, 2010), but it cannot bear heavy frosts (Ecocrop, 2010). Sesban yields up to 20 t DM/ha/year if conditions are favourable. World average is 4-12 t DM/ha/year with 3-5 cuts a year (Heering et al., 1992). In cut-and-carry systems, sesban can be cut when it is 1-2 m high, and cutting frequency is usually 5 times a year. A cutting height of 75-100 cm is recommended and some foliage has to be left in order to ensure regrowth of the plant. Stems often break during grazing, but the rapid regrowth below the break point improves yield. Grazing by goats should be avoided since goats are responsible of ringbarking that results in high plant mortality (75-80%) (Ecoport, 2010; Ecocrop, 2010; FAO, 2010; Cook et al., 2005). Sesban is a N-fixing shrub suitable as a soil improver. It provides green manure and its leaves produce rich compost (Cook et al., 2005). It is used in alley cropping: its nodules provide N to neighbour crops and improve their yields. Sesban can be intercropped with maize, beans, cotton, para grass, signal grass, siratro, etc. (Cook et al., 2005). Sesban is a good windbreaker and provides shade and support for other plant species (Heering et al., 1992). In China, it has been used for the reclamation of saline soils (FAO, 2010; Cook et al., 2005). Sesban foliage is a protein-rich forage. Its crude protein content is generally above 22% DM and it can be higher than 30% DM. Sesban foliage (stem + leaves) also has moderate to low cell wall contents (NDF less than 30% of DM) in most cases. It is one of the less tanniniferous forage tree legumes though some accessions are reported to have higher tannins (Kaitho et al., 1998a). Sesban leaves are also known to contain high amounts of saponins (more than 10% DM) (Hiai et al., 1976), which may decrease rumen production of methane but might also (like tannins) depress animal health or growth (Goel et al., 2008; Mekoya et al., 2009a). Sesban seeds and foliage contain canavanine and saponins, but usually no condensed tannins (Ahn et al., 1989; Shqueir et al., 1989b). When used by humans, seeds must be soaked for 3 days before cooking (NAS, 1983). Sesban leaf meal can be lethal to young chicks and broilers (Brown et al., 1987; Shqueir et al., 1989a; Shqueir et al., 1989b). In sheep and goats, deleterious effects on growth and reproduction of male and female animals have been reported (Mekoya et al., 2009a; Mekoya et al., 2009b): tubular degeneration, changes in scrotal circumference, interstitial fibrosis, focal Leydig cell proliferation (Kaitho et al., 1998d; Woldemeskel et al., 2001). In pregnant ewes reduced occurrence of oestrus, abortion and death have been reported (Melaku et al., 2004). Dry matter digestibility of Sesbania species is superior to that of most other tree and shrub legumes (Gutteridge et al., 1994). Sesbania sesban foliage has rapid and extensive rumen degradabilities (Kaitho et al., 1998b). In vitro DM digestibility (IVDMD) was found to be about 75% (Gutteridge et al., 1994). In vivo DM digestibility measured in goats ranged between 66 and 71% (Singh et al., 1980 cited by Gutteridge et al., 1994). When sesban foliage was used as a supplementary protein source in roughage-based diets, it had a positive effect on the rumen degradation of DM, OM, CP, CF and NDF (Tessema et al., 2004; Kamatali et al., 1992). Many experiments have also shown that sesban foliage increased the digestibility of DM, OM and CP in cattle, sheep or goats fed on a roughage basal diet (Nguyen Thi Hong Nhan et al., 2009; Manaye et al., 2009; Mekoya et al., 2009b; Melaku et al., 2005; Sampathi et al., 1999). However, accessions of sesban rich in condensed tannins were reported to decrease NDF digestibility of the diet (Kaitho et al., 1998a). Sesban foliage has a positive effect on N retention whether it is measured in cattle, in sheep or in goats. It often causes higher N retention than other forage tree legumes (Wambui et al., 2006; Sampathi et al., 1999; Umunna et al., 1995). Sesban offered as supplementary protein to cattle fed tropical roughages can be included at up to 25% of the diet (Tessema et al., 2004). In Vietnam, sesban foliage supplementing crossbred cattle grazing native pasture (Hymenachne acutigluna and Paspalum atratum) yielded superior growth rate (+20%) than when Hymenachne acutigluna was the sole diet (Nguyen Thi Hong Nhan et al., 2009). In Queensland (Australia), cattle grazing Signal grass (Brachiaria decumbens) and sesban foliage had a greater growth rate (about 80%) (Gutteridge et al., 1991). However, in an attempt to replace noug oilseed cake (Guizotia abyssinica) in lactating crossbred dairy cows, the inclusion of sesban foliage resulted in lower feed intake and lower crude protein digestibility, which led to insufficient digestible protein and lower milk yield (Khalili et al., 1992). Sesban is palatable to sheep and goats. It ranked third in palatability after cajan pea (Cajanus cajan) and leucaena when offered to Djallonke rams and West African Dwarf goats (Karbo et al., 1996). Sesban can be used as supplementary protein to roughage-based diets or to concentrate mixtures for sheep and goats. Level of inclusion for optimal growth rate or milk yield was about 30% of the diet when it was used as supplement to teff straw (Eragrostis tef), Napier grass or sorghum stover (Mekoya et al., 2009c; Manaye et al., 2009; Mengistie Taye, 2009; Sampathi et al., 1999; Kaitho et al., 1998b). The effects of feeding sesban foliage to sheep and goats have been studied for a long time and are still much debated. Though sesban foliage was shown to have high in vitro and in vivo digestibilities as well as positive N balance, its effects on feed intake (DM intake) are not consistent between authors. Some studies report higher feed intake or DM intake when sesban foliage is used as supplementary protein in roughage-based diets even at high levels of inclusion (Mengistie Taye, 2009; Manaye et al., 2009; Mekoya et al., 2009b). Earlier studies have reported a negative effect of sesban on diet DM intake, especially when it was fed at high levels (1.3-1.5% LW) or when the sesban accessions used were low in tannin (Kaitho et al., 1998a). Growth rates achieved in feeding trials with sesban are often not as promising as with other forage tree legumes that have lower in vitro and in vivo digestibilities (Kaitho et al., 1998a). 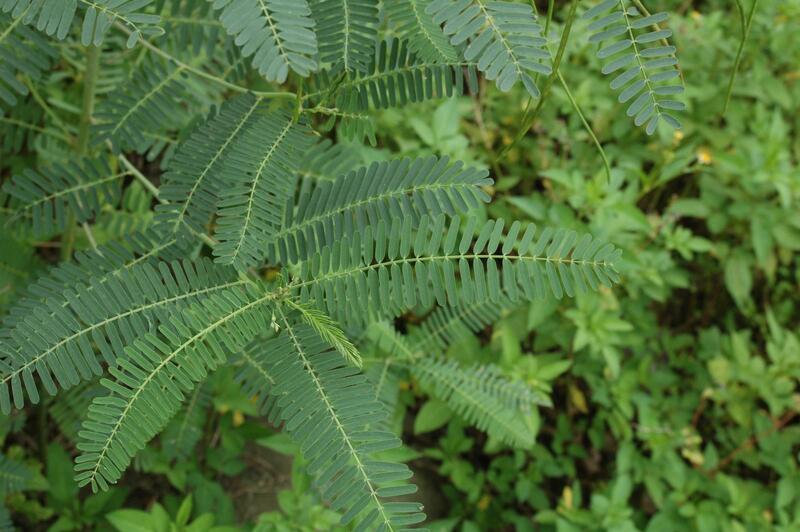 Large differences in growth performance have been found in animals fed sesban foliage. In sheep, daily weight gains from 35 g/d to 108 g/d have been reported (ILCA, 1987; Reed, 1988 cited by Gutteridge et al., 1994; Manaye et al., 2009). Ewes gained 23-24 g/d when they were fed different levels of sesban foliage (Melaku et al., 2004; Mekoya et al., 2009b). Supplementing lactating ewes with sesban foliage did not improve daily gain but had a positive effect on milk yield (+13%) and on the weight gain of lambs (Mekoya et al., 2009c). Goats fed sesban as sole forage for 8 weeks gained an average of 17.1 g per day (Singh et al., 1980 cited by Gutteridge et al., 1994), while goats fed teff straw (Eragrostis tef) and supplemented with sesban gained only 4 g/d (ILCA, 1987 cited by Gutteridge et al., 1994). The effects of sesban feeding on reproductive performance are also debated. Sesban was reported to have deleterious effects (degeneration and necrosis) on the seminiferous tubules of male sheep and goats (Woldemeskel et al., 2001). Prolonged and uninterrupted sesban intake may also hinder sexual development (scrotum circumference changes) and live-weight gains in male sheep and goats (Kaitho et al., 1998c). Supplementing ewes with sesban could compromise oestrus at high levels of inclusion (13.3 g DM/kg LW) and could cause abortion or deaths of pregnant ewes (Melaku et al., 2004). However, a series of studies from Mekoya et al. in 2009 showed that long-term feeding of sesban foliage resulted in improved reproductive performance in both male and female sheep. It was also shown that feeding sesban from post-weaning to puberty reduced the age of puberty and improved sexual development (Mekoya et al., 2009a; Mekoya et al., 2009b). Sesban leaf meal depressed growth performance in experiments with broiler chicks. A 15% inclusion level in the diet reduced growth by 50% and a 30% inclusion level was lethal to all the animals after 3 weeks (Brown et al., 1987). The growth depression was at least in part due to saponins (Shqueir et al., 1989b). Since similar observations have been reported on other Sesbania species, the use of sesban leaf meal in poultry diets should be avoided. Although few data are available on the effects of Sesbania sesban seeds on poultry nutrition, they have been shown to decrease performance and they should be used with caution (Gutteridge et al., 1994). 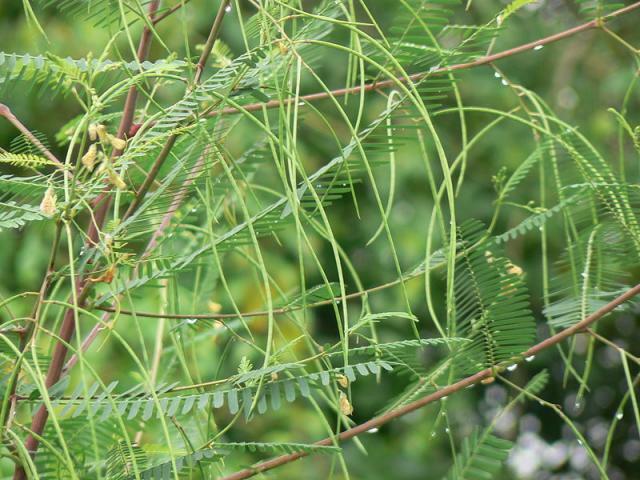 Results available for other Sesbania species indicate that the introduction of Sesbania seeds in the diets, even at small levels, usually reduces performance. For example less than 1% Sesbania macrocarpa seeds was sufficient to reduce broiler growth, and more than 3% resulted in a drop in egg production in layers (Flunker et al., 1990). In another experiment, laying quails tolerated up to 5% Sesbania macrocarpa without a drop in performance (Flunker et al., 1991). Sesbania sesban foliage is a potential source of protein, energy and fibre for rabbits in tropical countries (Lukefahr, 1998). The digestibility of all nutrients in sesban is quite high for a forage (Raharjo et al., 1986; Osman, 2009). The digestible energy content of S. sesban is very high: 13.8 MJ/kg DM, a value close to that commonly accepted for cereals (Raharjo et al., 1986). When distributed ad libitum to growing rabbits in addition to a limited quantity of concentrate, the sesban intake was 26% of the total DM intake with a growth rate of 12.7 g/d. This latter value was similar to that obtained with leucaena in the same conditions, and significantly higher than the growth rate of 7.2 g/d obtained with the limited quantity of concentrate without forage (Raharjo et al., 1986). In a study on the progressive introduction of dried Sesbania sesban foliage in complete diet (0 to 20%), sesban was introduced in growing rabbit diets up to 15% without any harmful or adverse effects on performance (Ghazalah et al., 1998). Due to the ethno-medicinal usage of dried leaves for their contraceptive properties (Gutteridge et al., 1994), more information is needed about the use of Sesbania sesban in rabbit breeding does. D'Mello, J. P. F., 1995. Leguminous leaf meals in non-ruminant nutrition. In: Tropical Legumes in Animal Nutrition. J.P.F. D'Mello and C. Devendra, Eds. CAB International, Wallingford, UK. Gutteridge, R.C. ; Shelton, H.M., 1991. 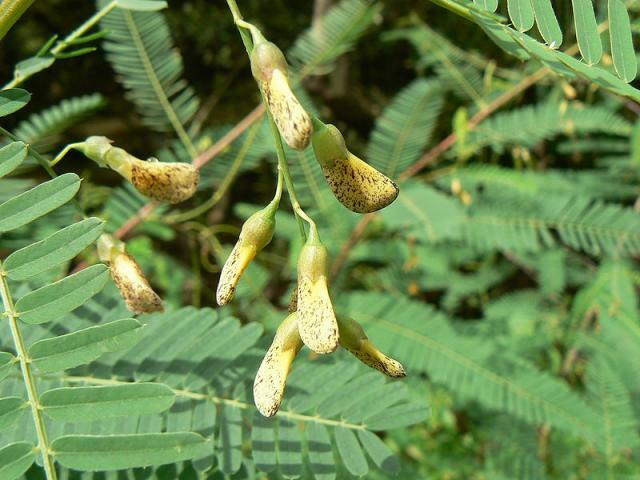 Evaluation of Sesbania sesban - a new forage shrub species for tropical and subtropical Australia. Final Technical Report, Meat Research Corporation, Canberra. 12 pp.